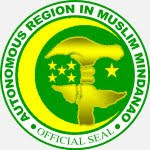 SULU (Mindanao Examiner / Oct. 19, 2011) – Muslims in the southern Philippine province of Sulu expressed optimism that President Benigno Aquino would appoint qualified officers-in-charge that would run the Autonomous Region in Muslim Mindanao until new elections are held in 2013. The Supreme Court on Tuesday upheld the legality of Republic Act 10153 which would synchronize this year’s polls with the national elections in 2013. It also said that Aquino could appoint OICs to run the affairs of the ARMM. Aquino said those who would be appointed will be barred from running in the next elections. “We want more development projects from the ARMM. We are not getting enough and President Aquino should appoint qualified people to run ARMM and we will watch them very closely,” said Benny Abubakar, a local trader. Congress deferred elections in ARMM set on August 8 and authorized Aquino to appoint officers to run its affairs. Following the Supreme Court’s decision, Aquino immediately ordered the release of some P8.5 billion which would be used to improve various projects in ARMM, among others. “The (money) will pave the way for improving service delivery performance, reforming and strengthening governance capacities, improving public safety and security, and other socio-economic projects toward ensuring peace, stability and inclusive economic growth in ARMM,” said President Spokesman Edwin Lacierda.